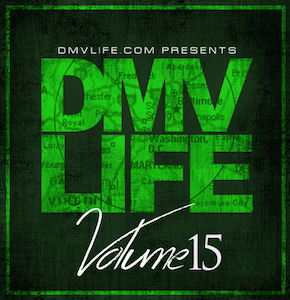 DMVLIFE.com The Best of DC, Maryland, and Virginia! The Best of DC, Maryland, and Virginia! "Yellow Tape White Chalk 8"
"Facts - See No Lies Here"
Music Video: Danny & Jimmy ft. Henry "Mi Sufrimiento"
Album: Shy Glizzy "Covered N Blood"
New Music: Koblack "Play It Off (A Baltimore Story)"
New Music: Gman "On The Mic"
Music Video: Roadboi Razta "Lit Ops"
Music Video: Celus Da Nomad "Cold"
Music Video: Shay The Realist "Drip Season"
Music Video: Truth Teller RIE "Facts - See No Lies Here (Real One)"
Music Video: Bdagoat & Pi$tol P "True 2 Yourself"
Music Video: T1 "Wake Up"
Music Video: Spyda "The Drill"
Mixtape: Grand Marquis "No Myth"
New Mixtape: Candise Liverpool "Triptych"
Music Video: WillTheRapper "Paper Calling"
Music Video: Dorothy Milone ft. Tokyo Vanity "Imagination"
New Music: Lil' Lean "C.P. (Cerebral Palsy)"